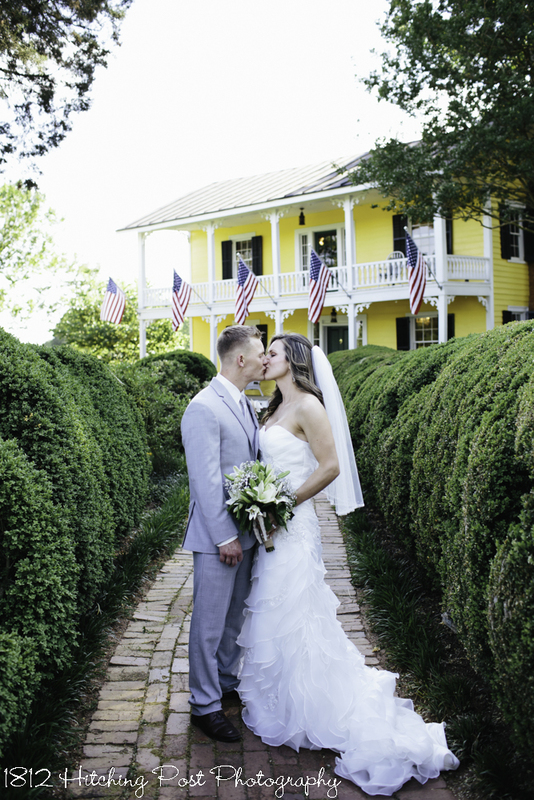 A Memorial Day wedding at the end of May with flags flying! 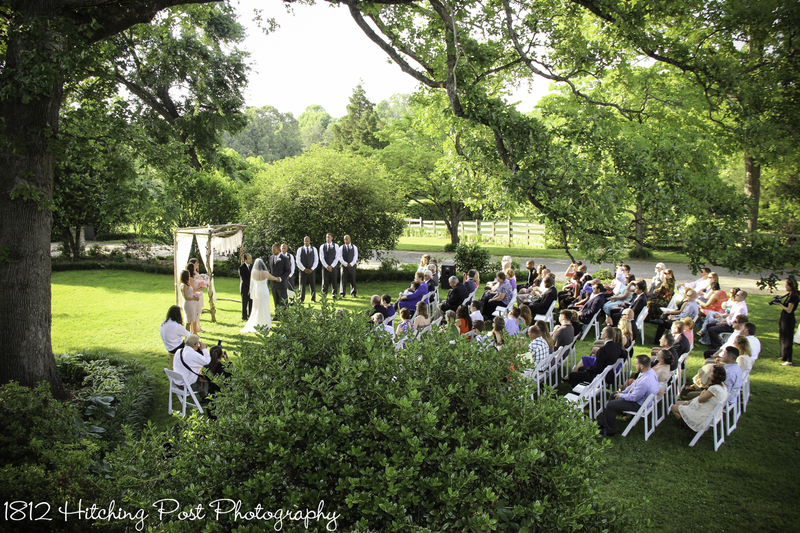 The ceremony was on the side lawn under the oaks. 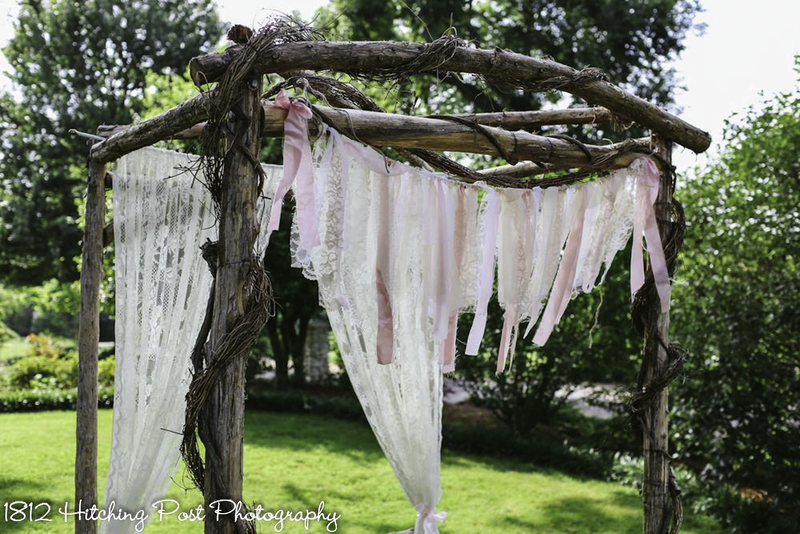 Mason jars with babies breath lined the aisle and the wood arbor was decorated with lace curtains, greenery, and white hydrangeas. 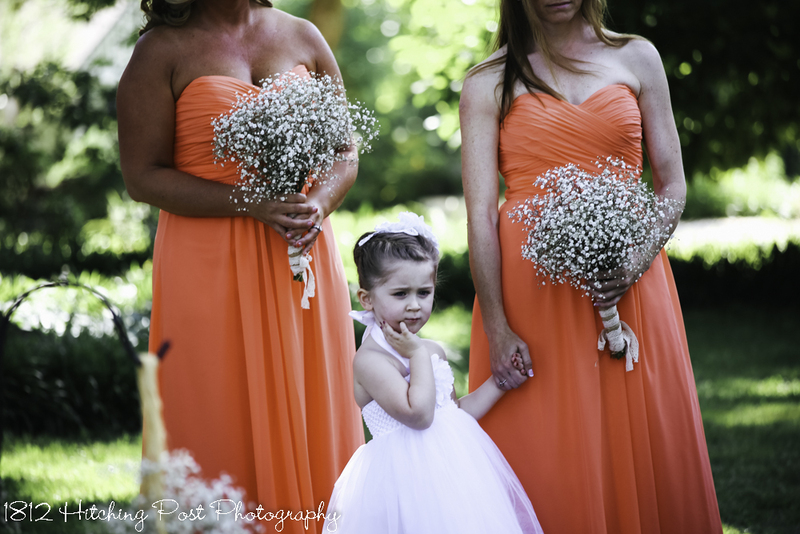 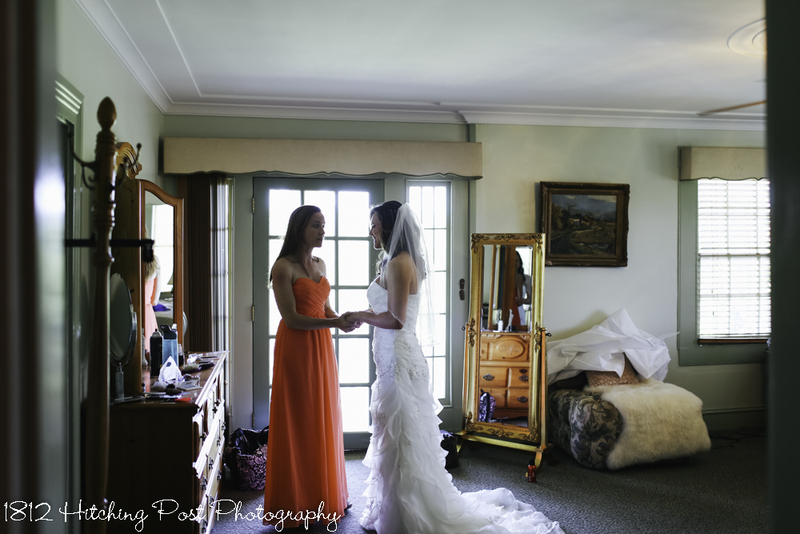 Bridesmaids were in coral; it looks so beautiful against green! 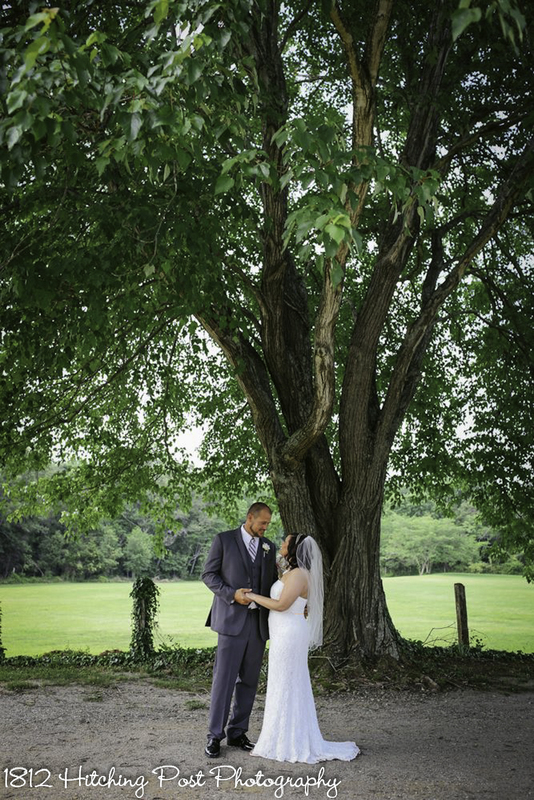 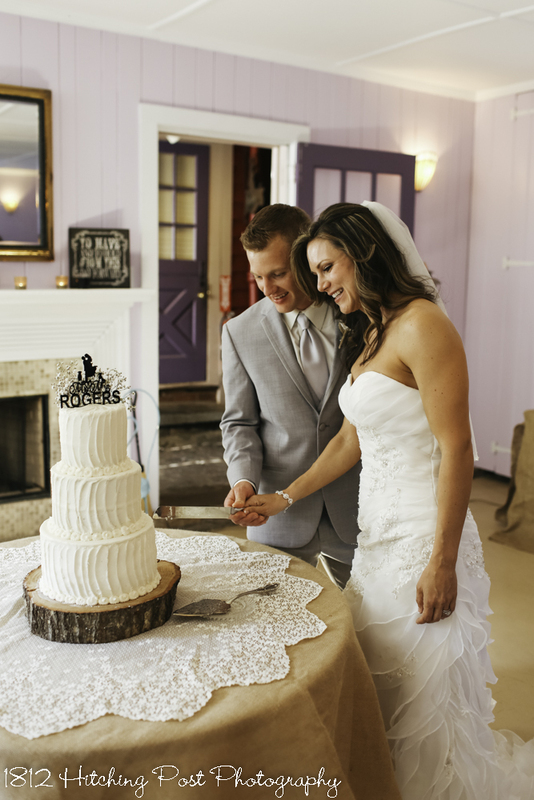 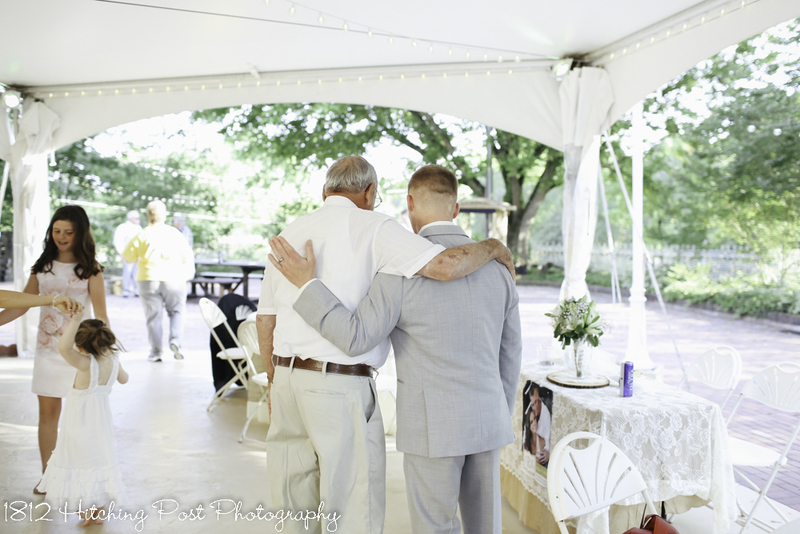 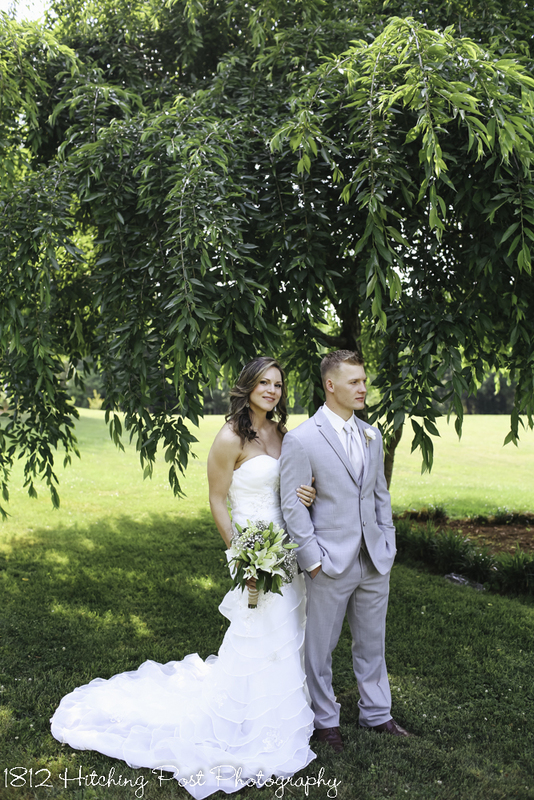 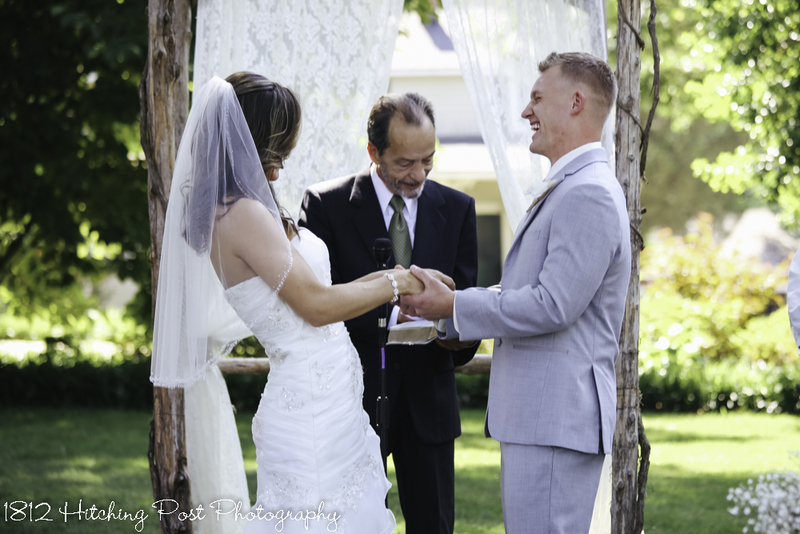 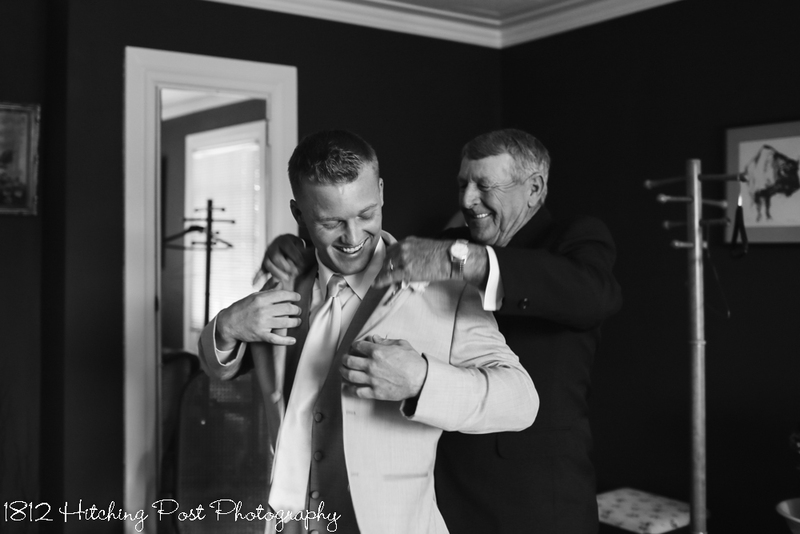 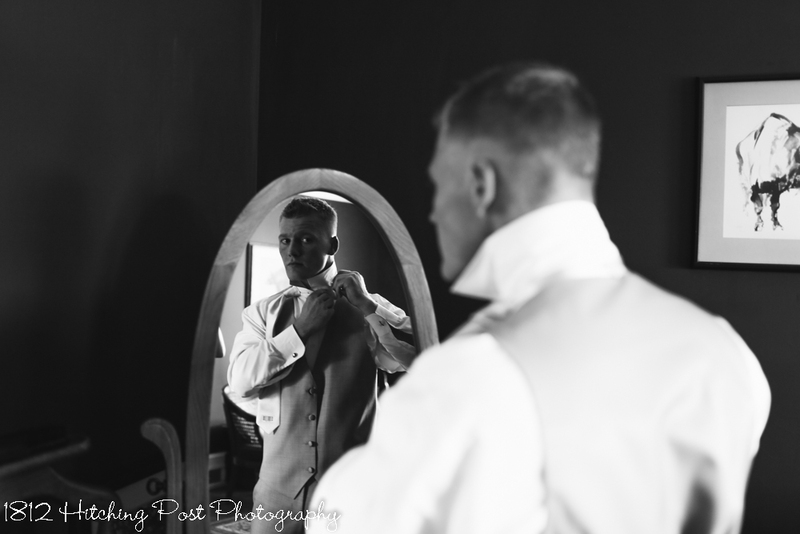 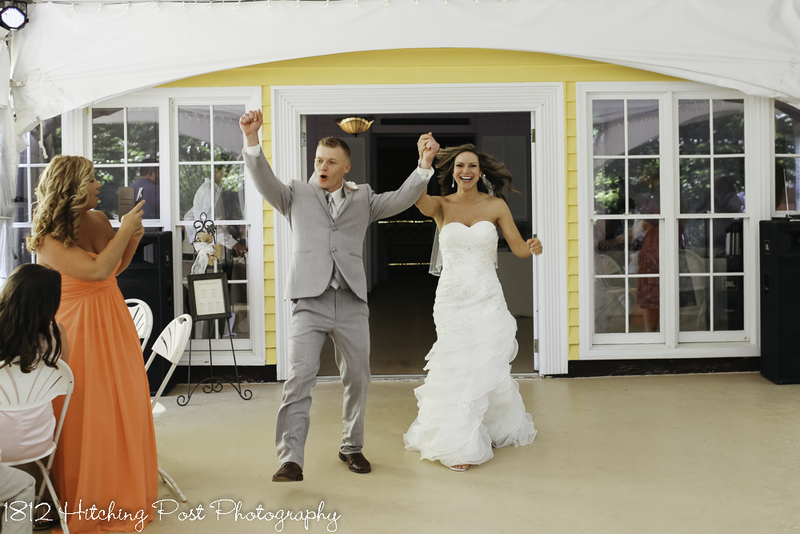 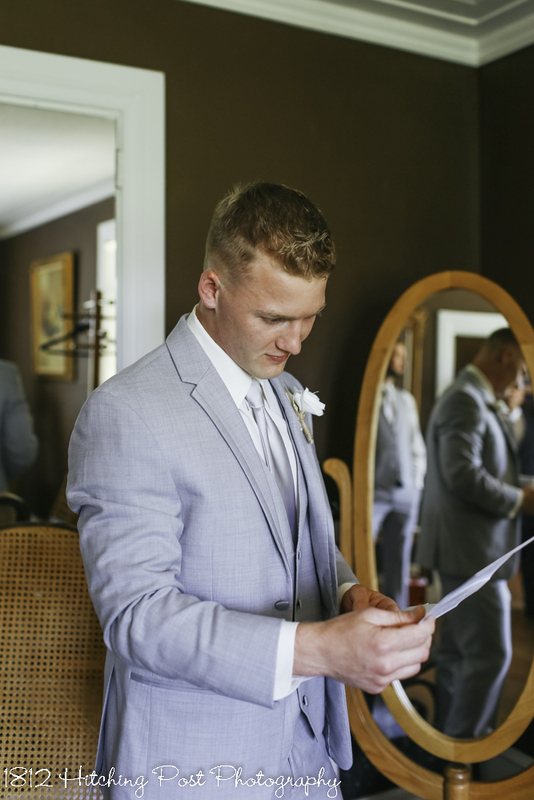 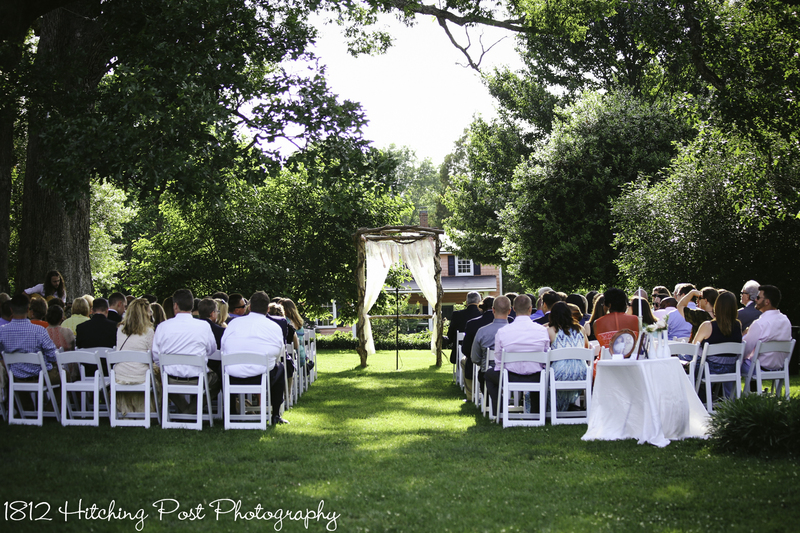 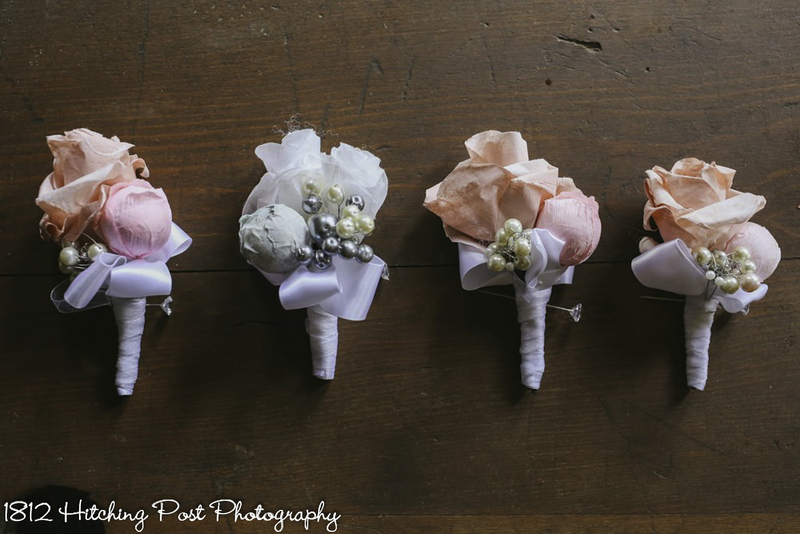 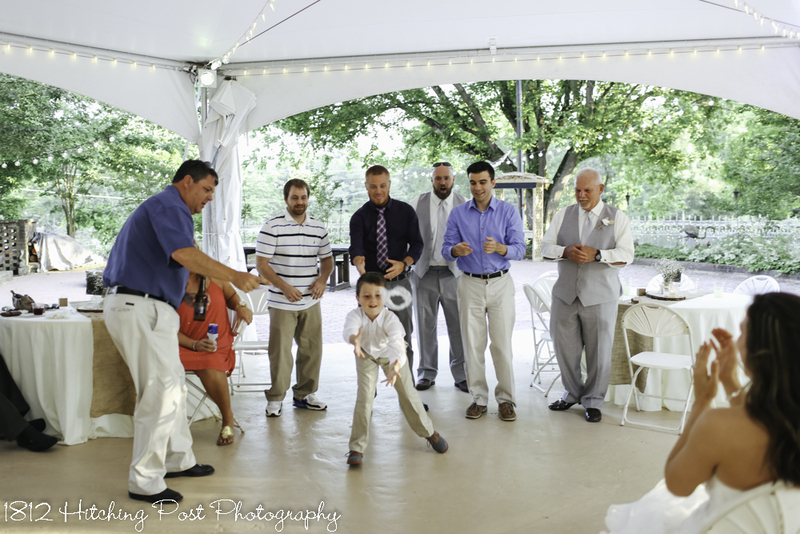 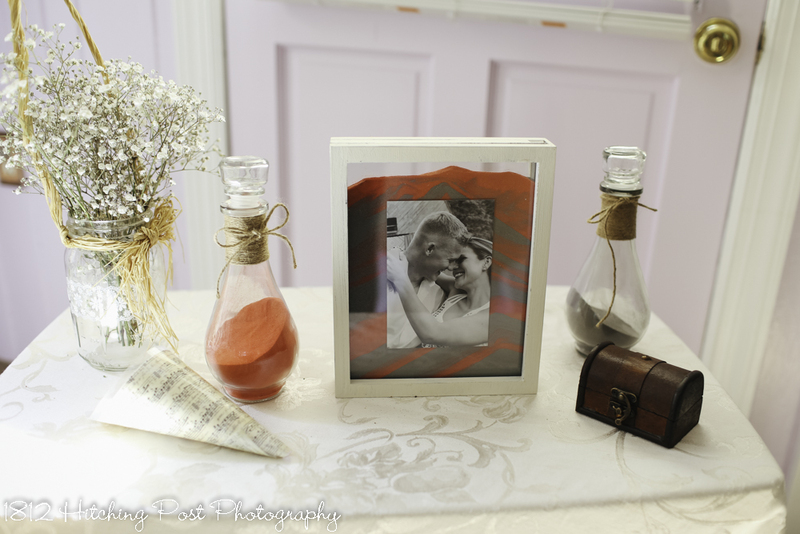 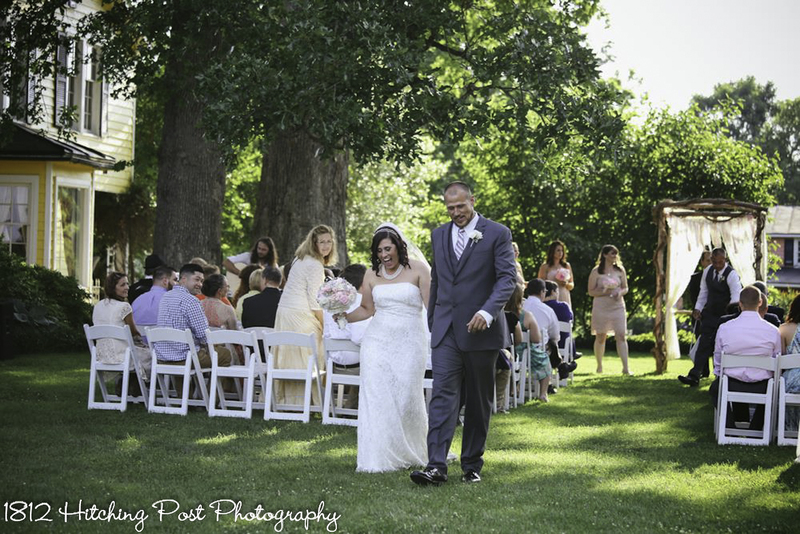 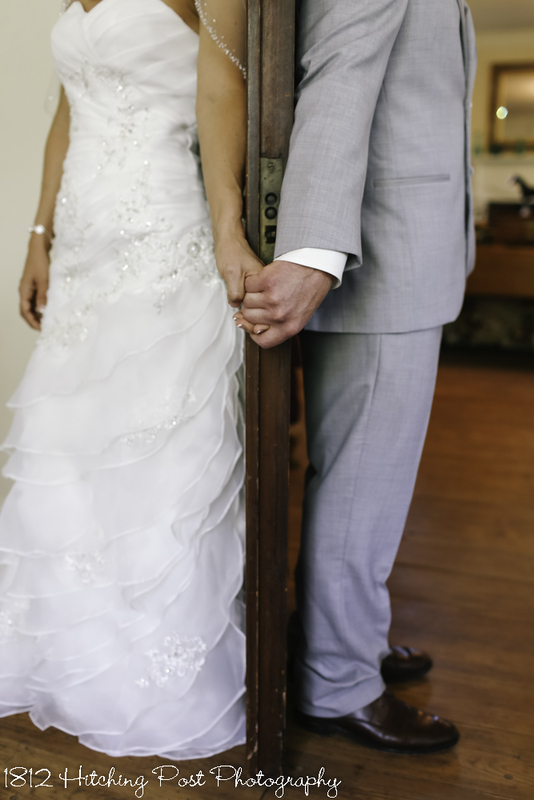 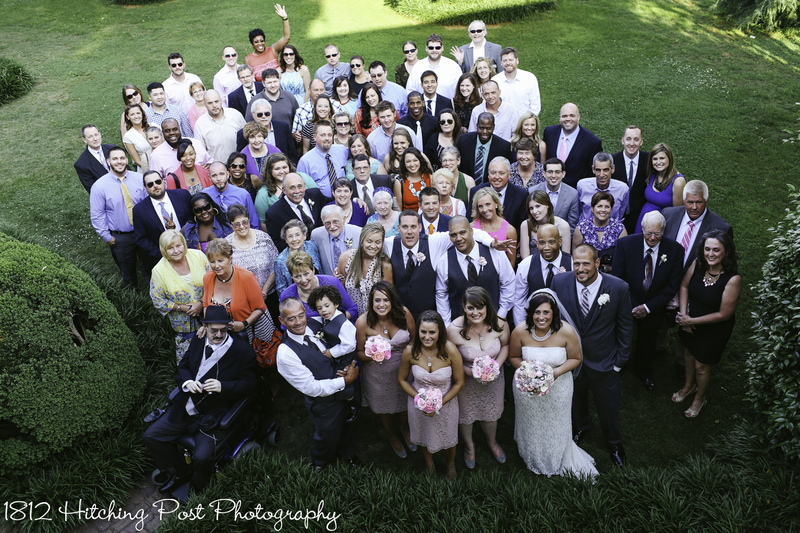 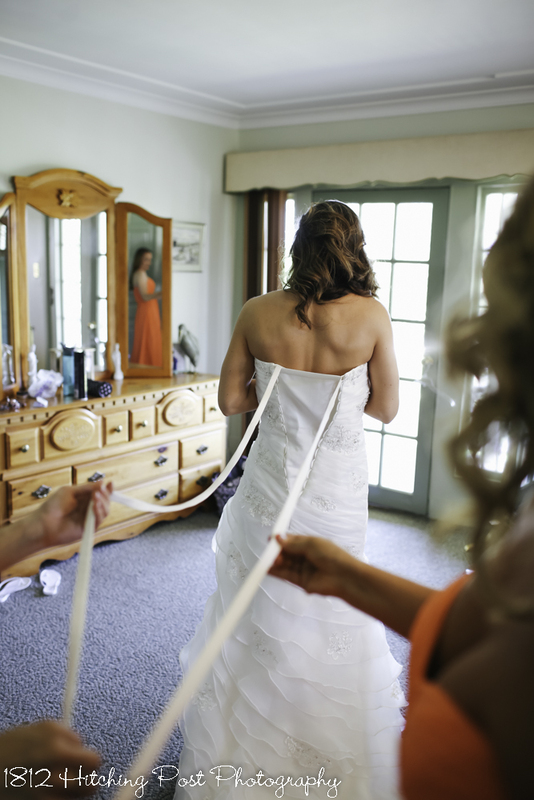 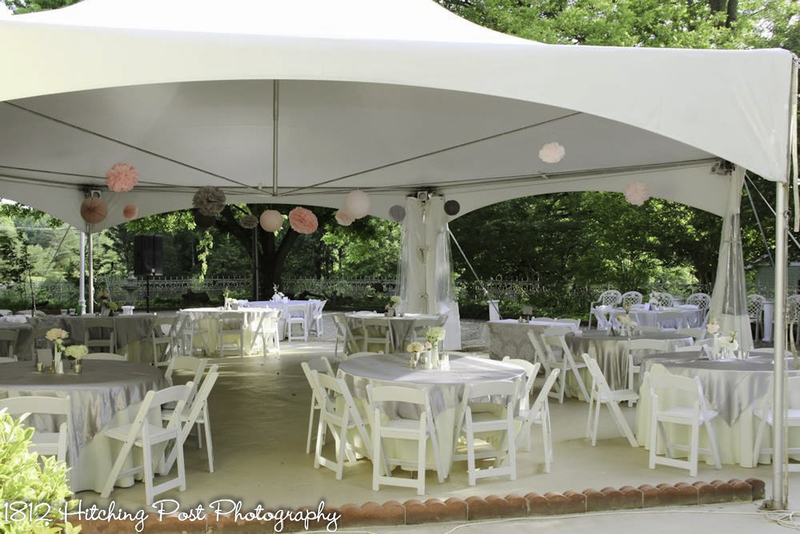 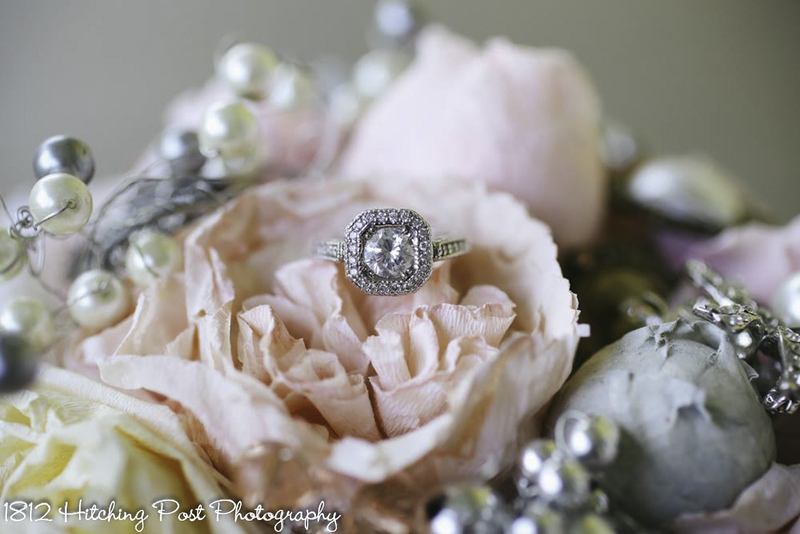 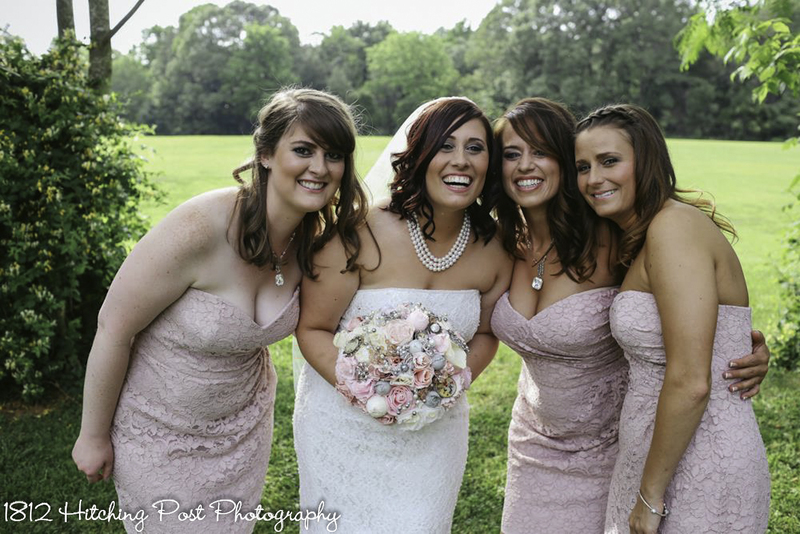 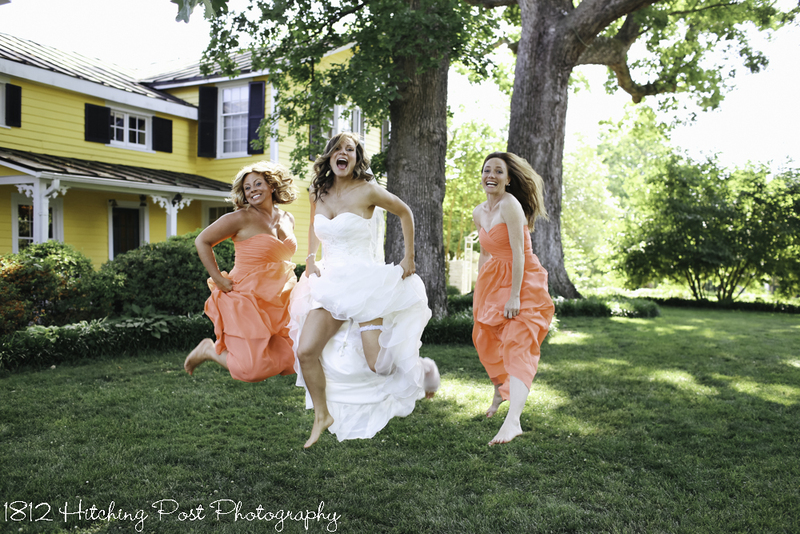 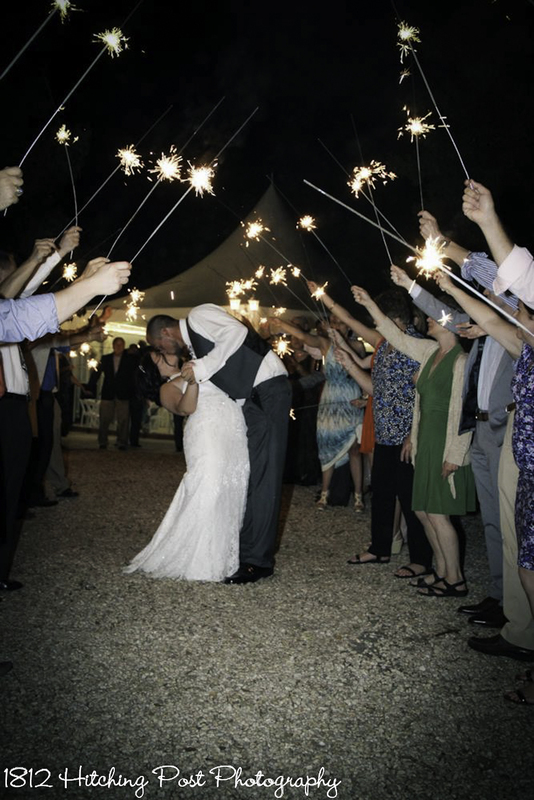 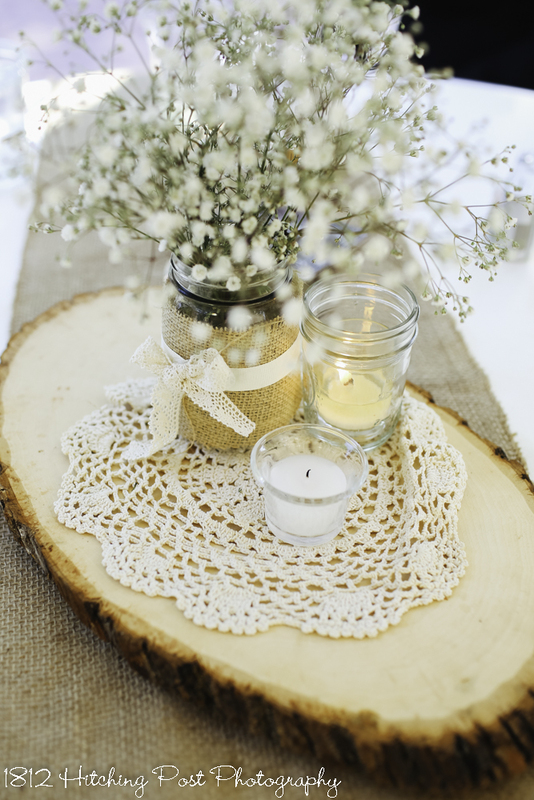 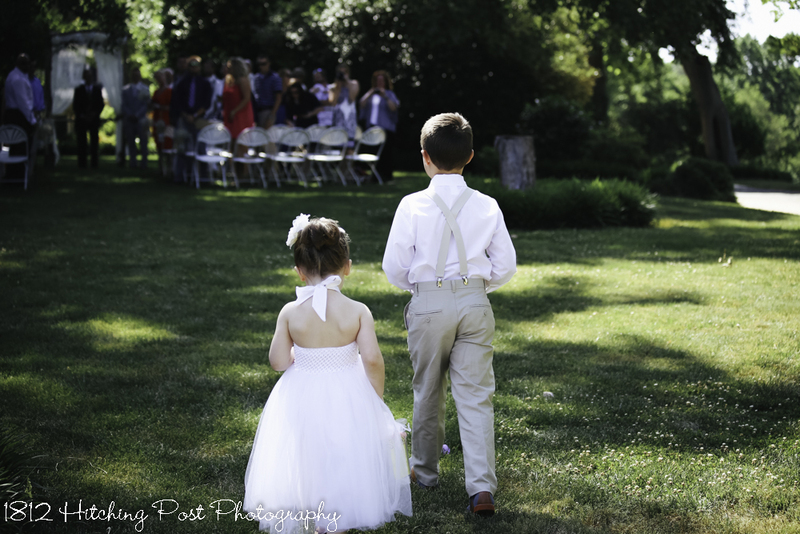 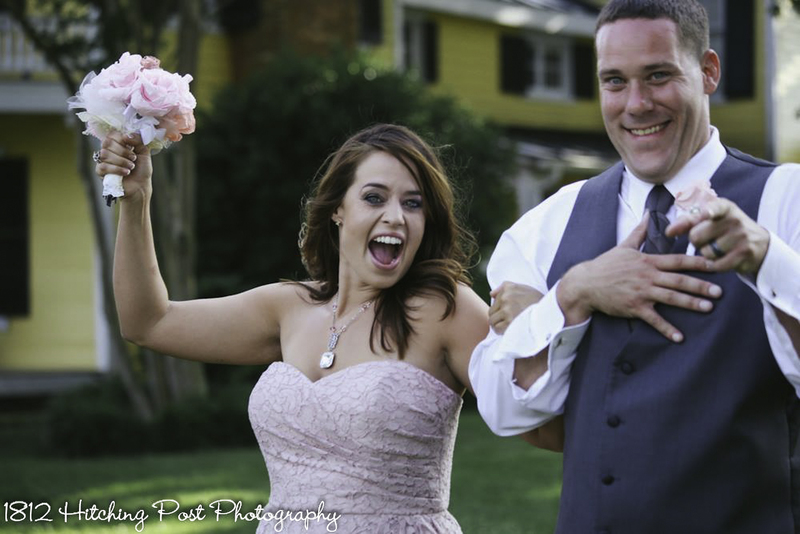 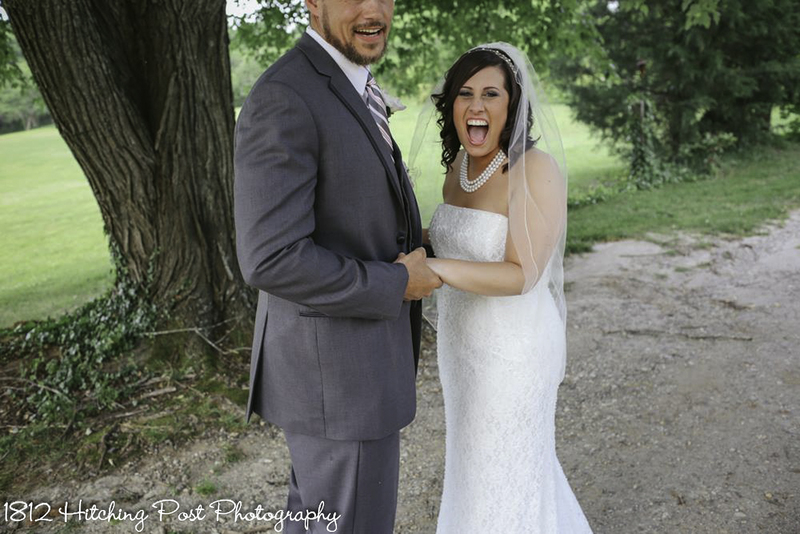 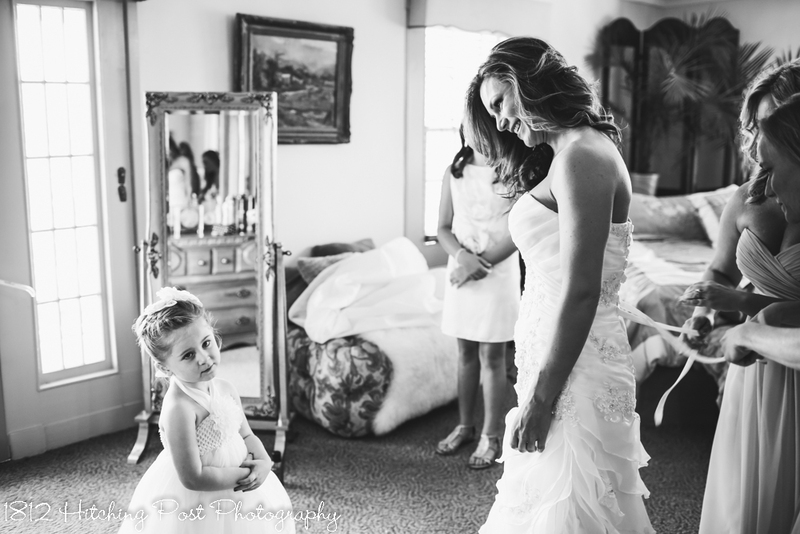 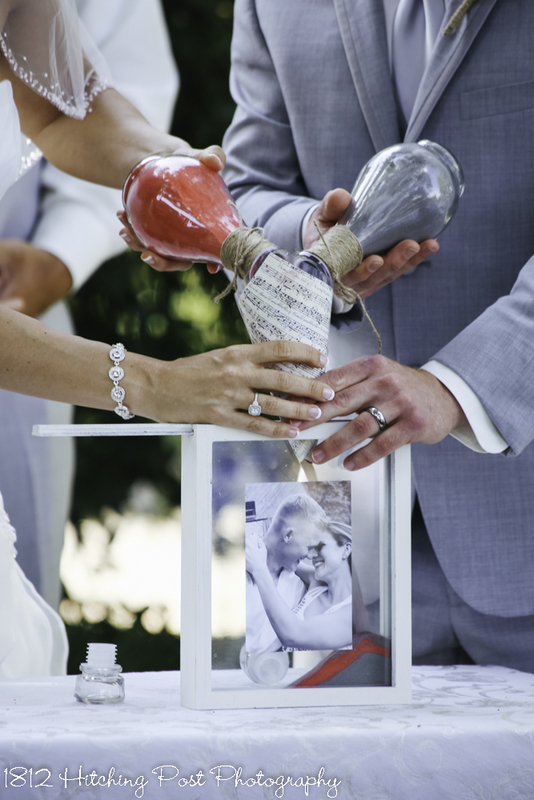 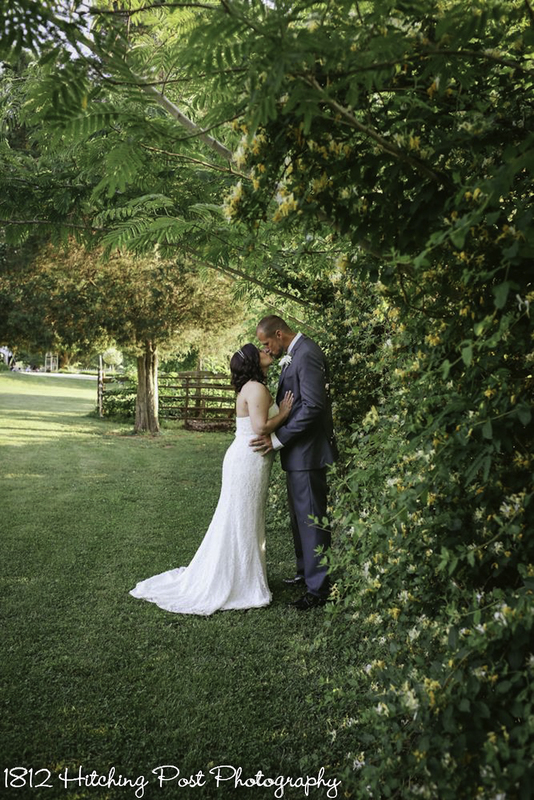 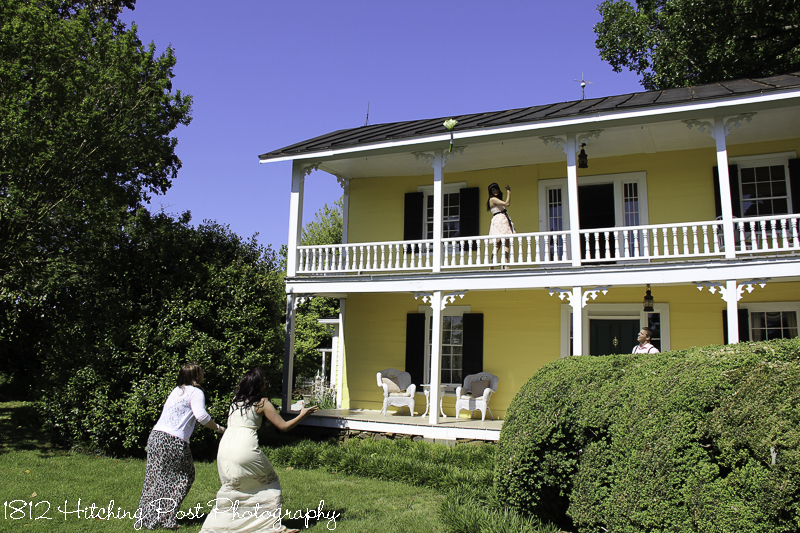 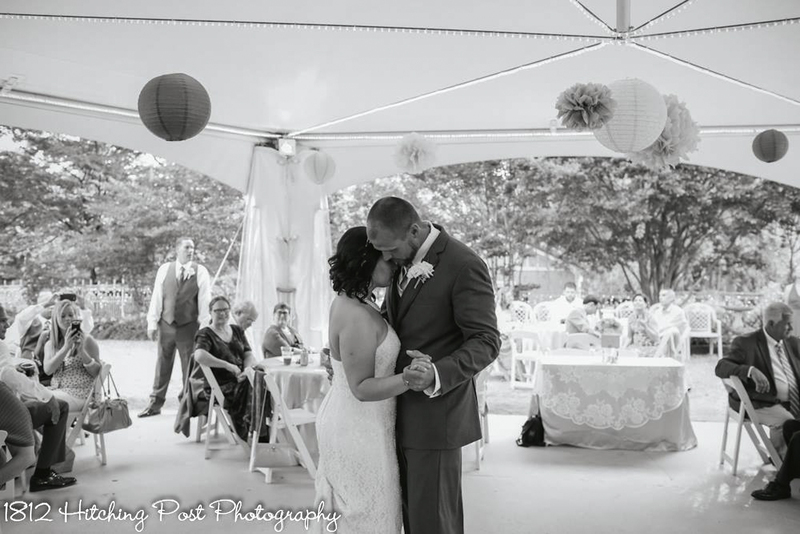 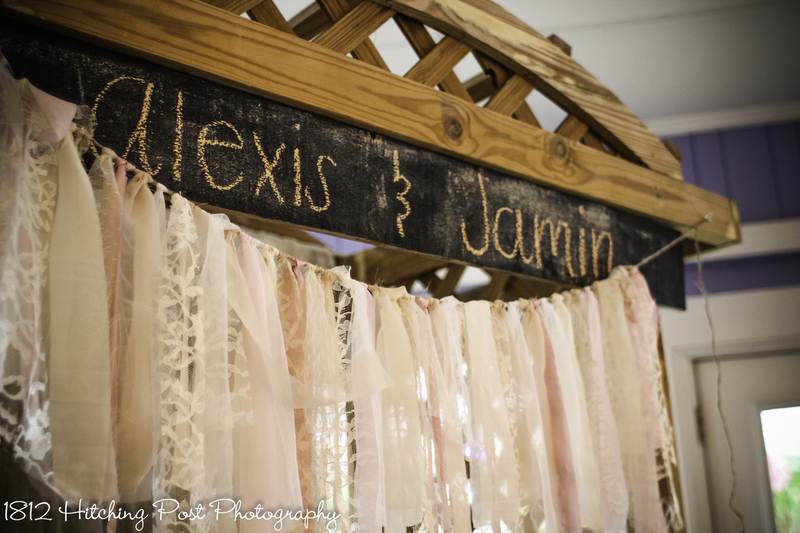 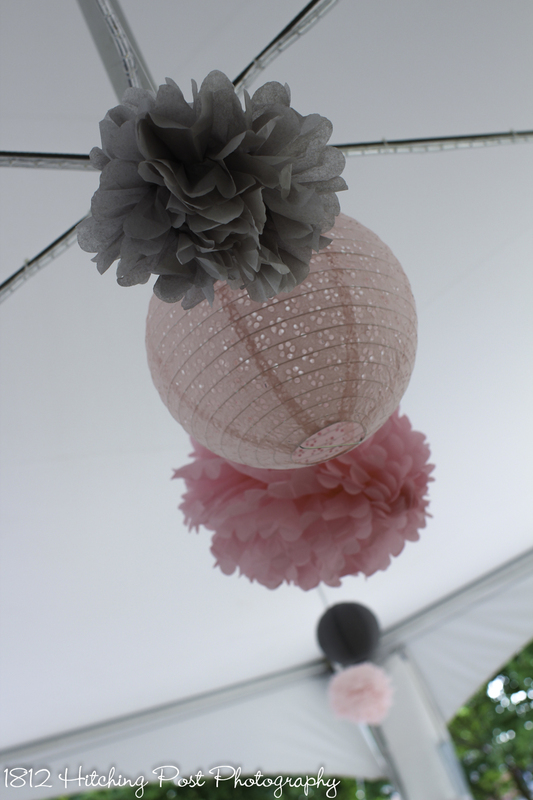 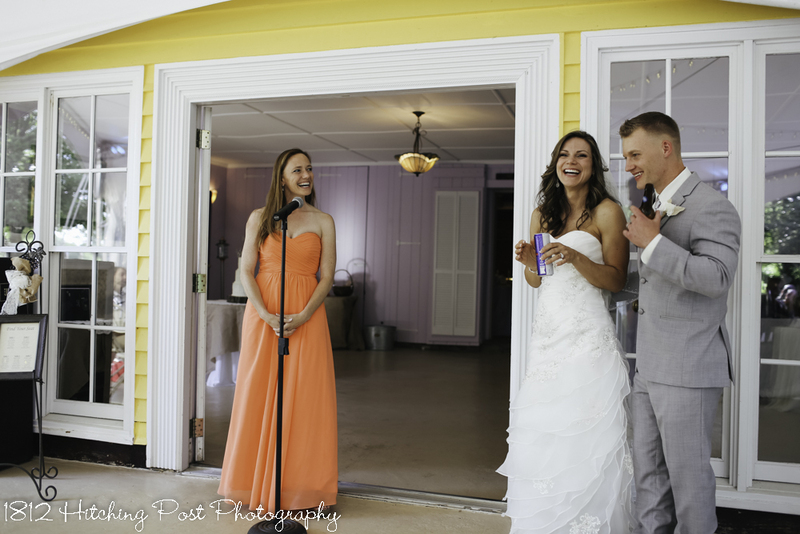 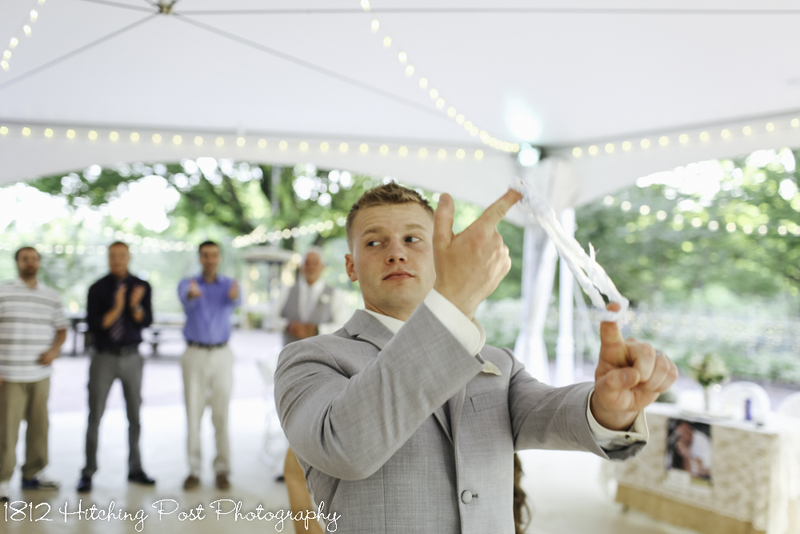 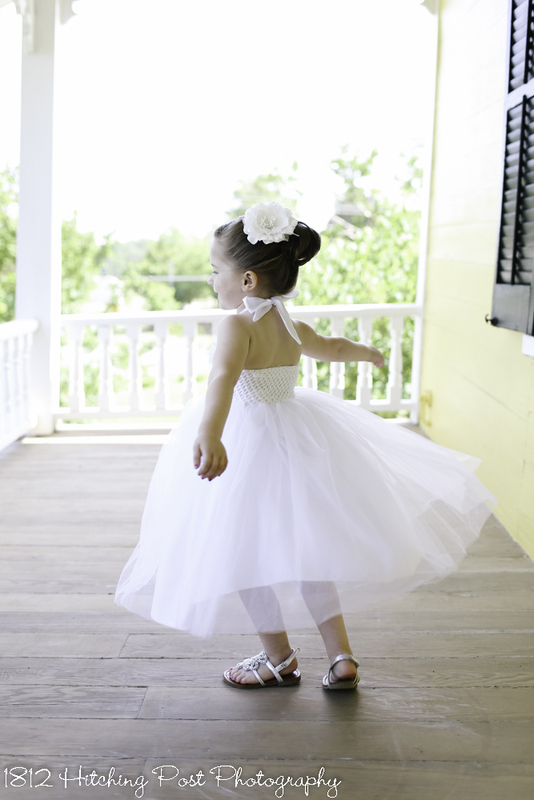 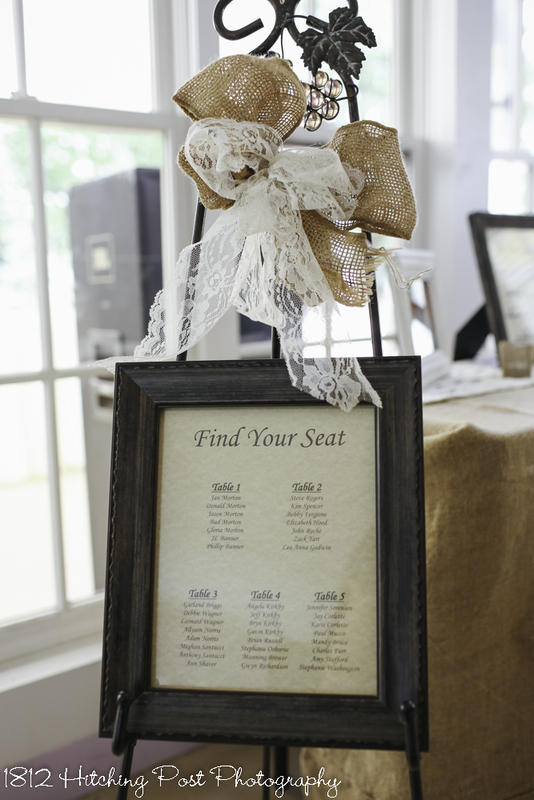 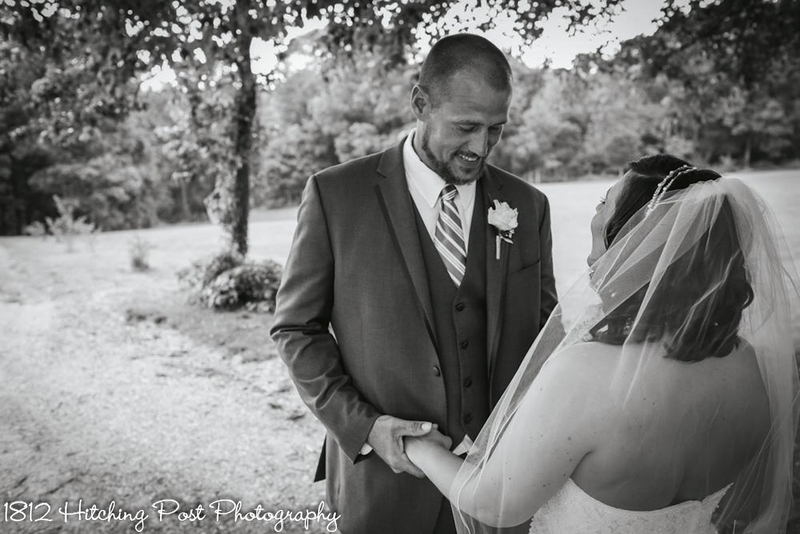 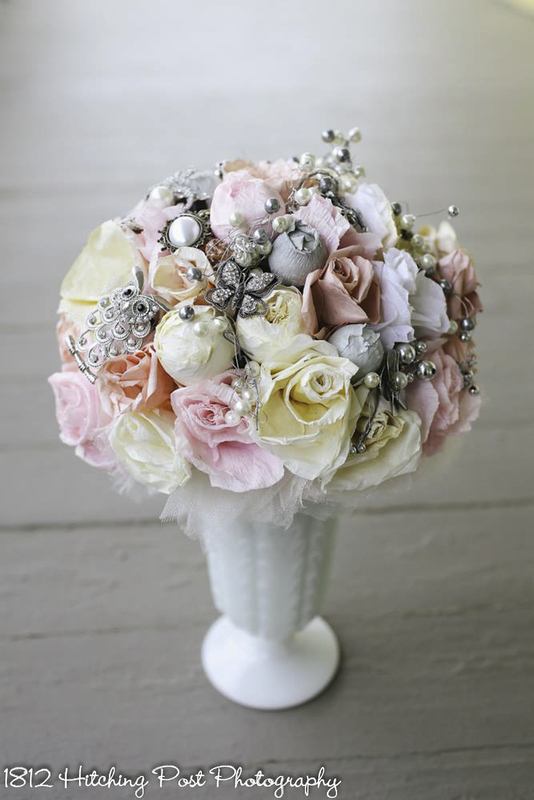 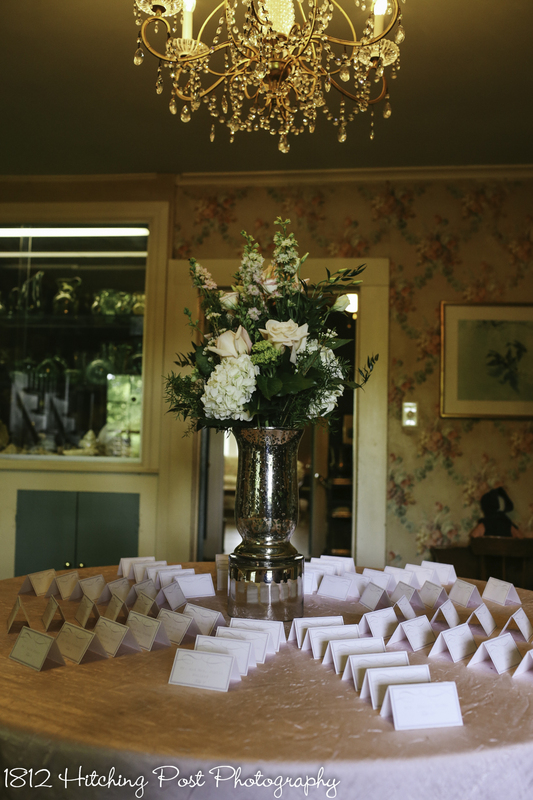 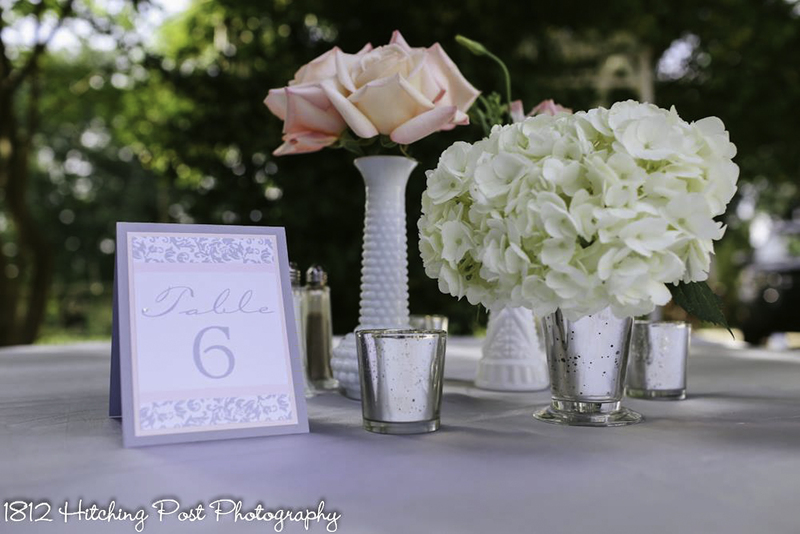 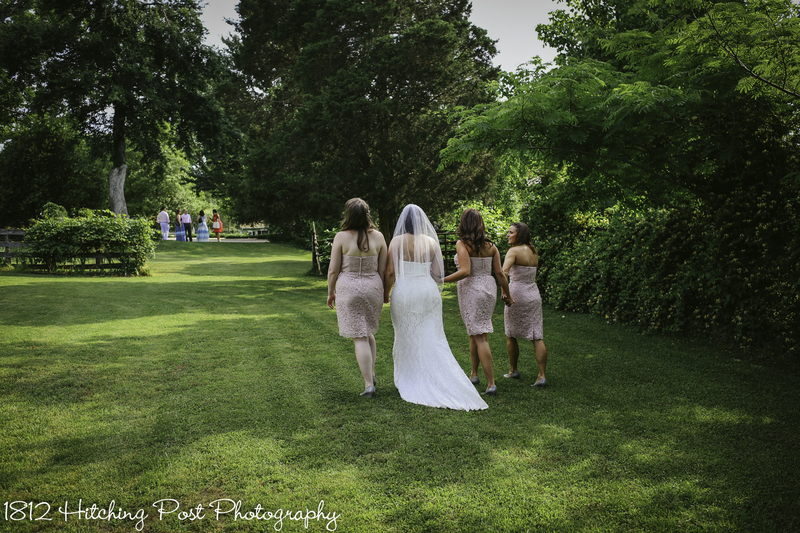 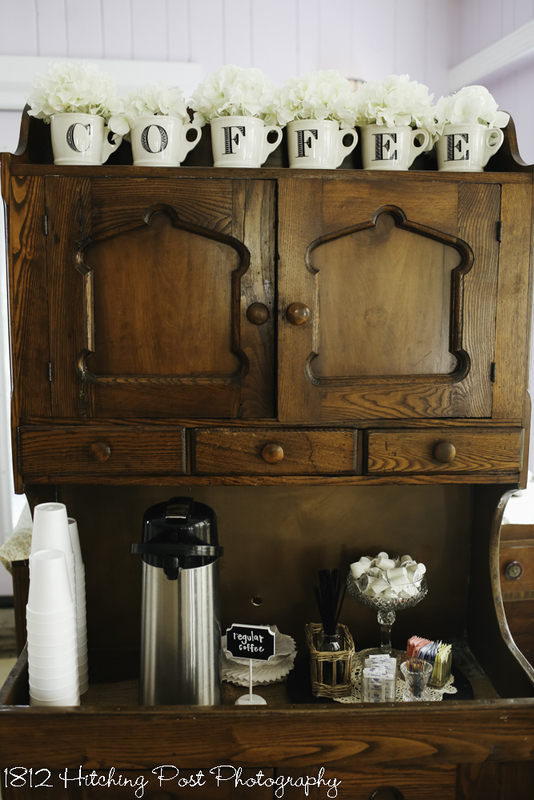 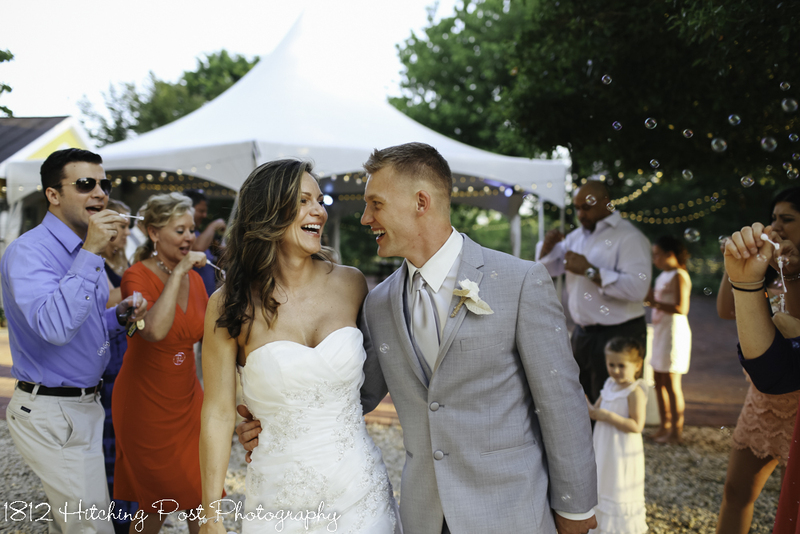 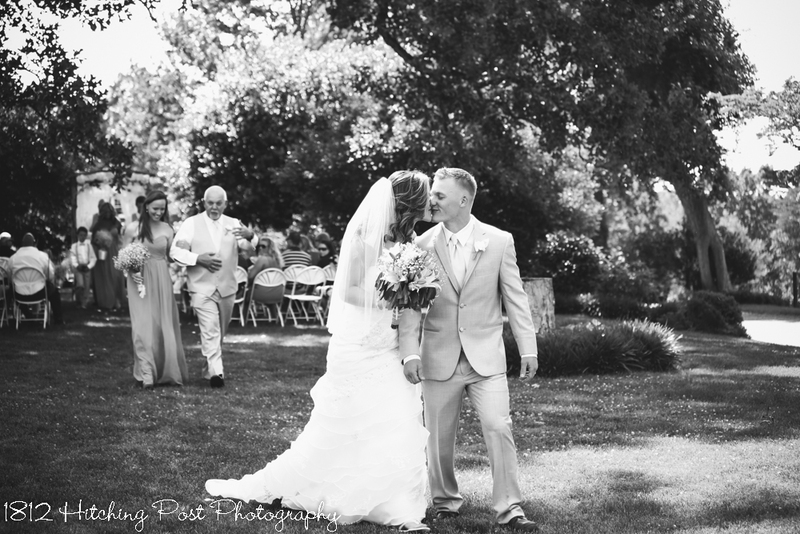 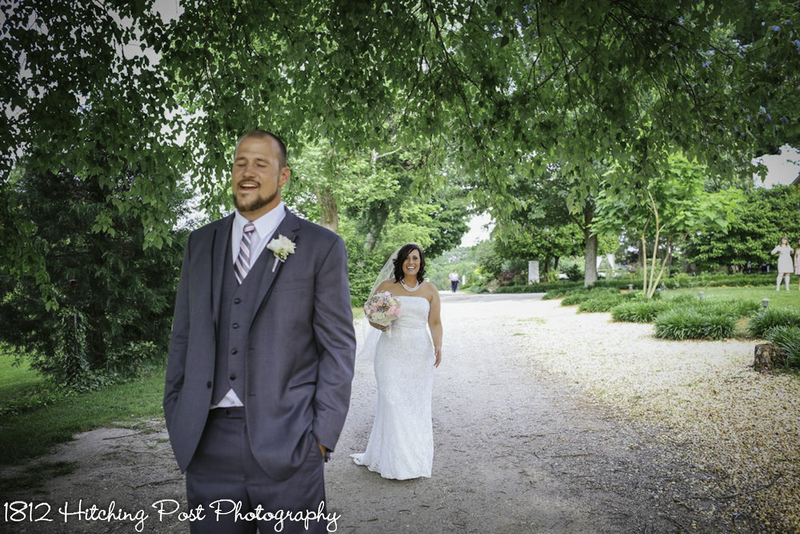 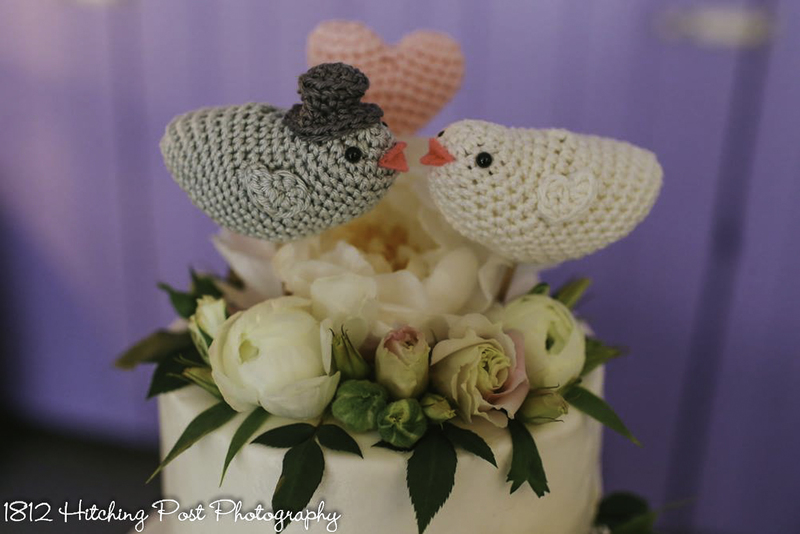 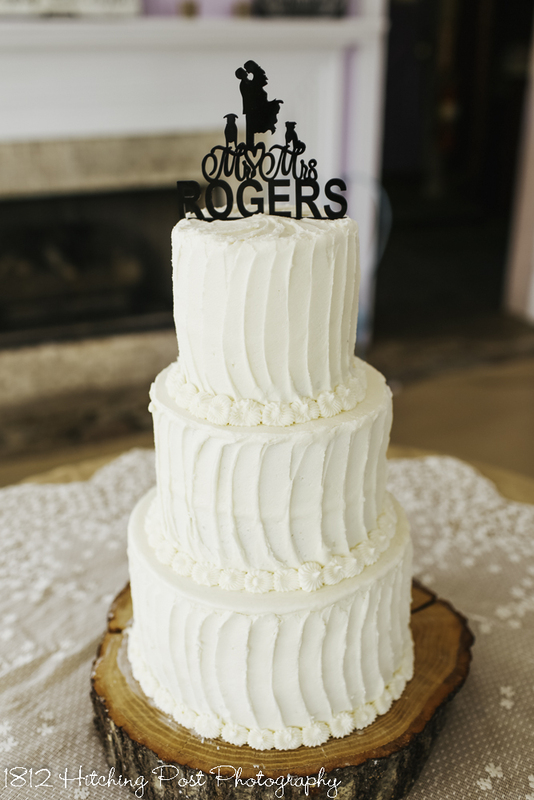 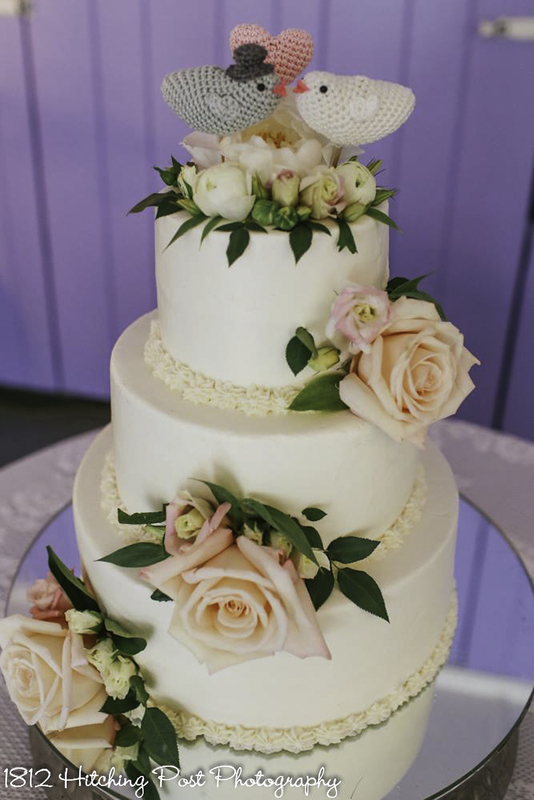 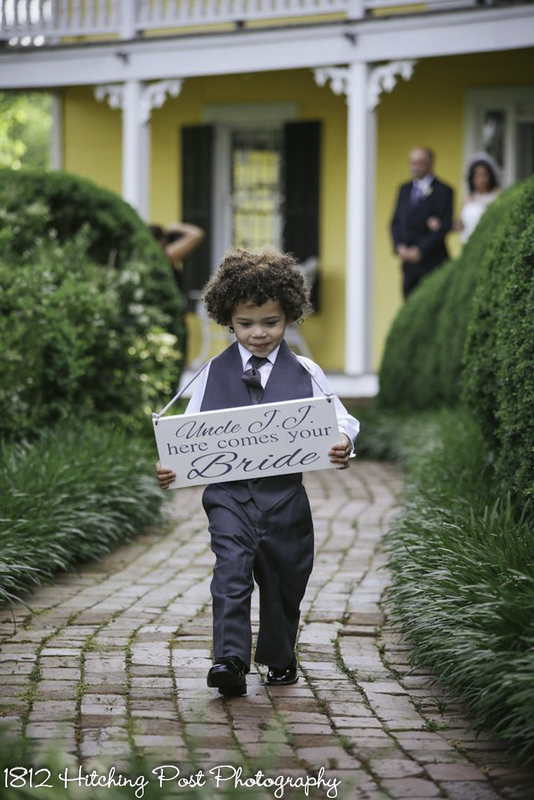 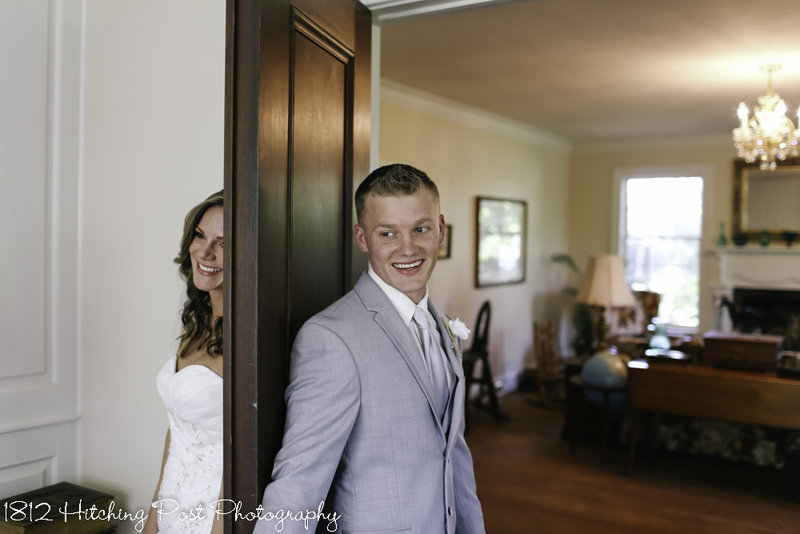 Enjoy these beautiful photos by Taylor Gregory Photography of the wedding of Lisa and Grayson! 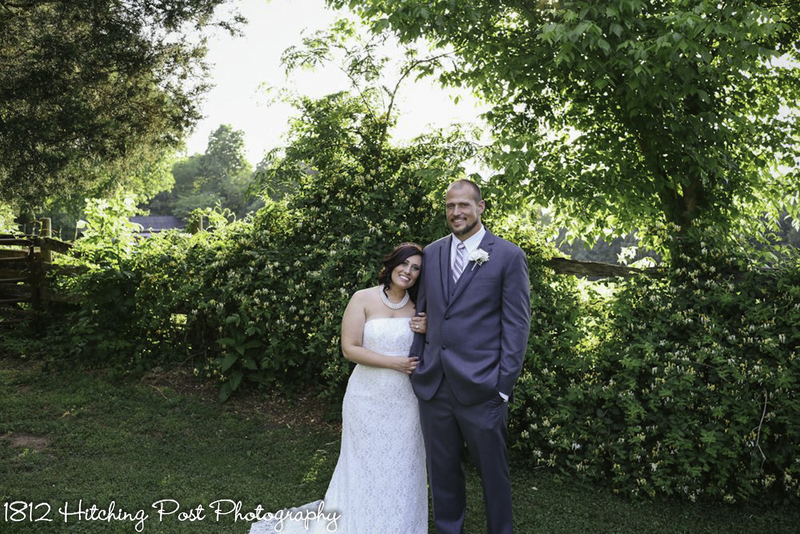 Danii and Brian had a fun Traditional Elopement by the lake in the morning in May with their children and a couple of friends. 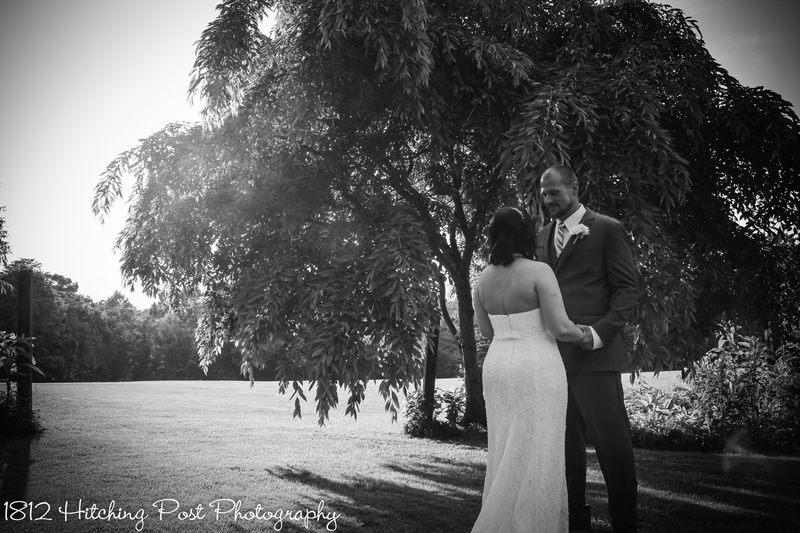 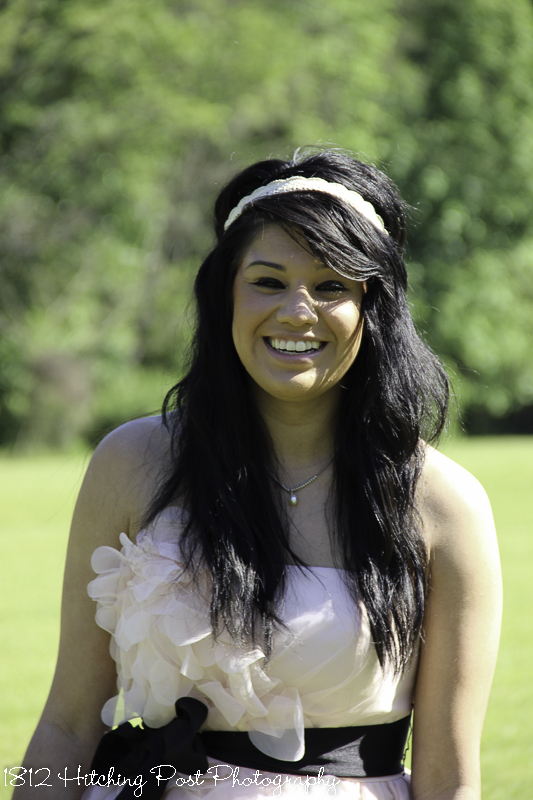 Here are some of the photos from their wedding day.